This is the mall called Commercial City in Shenzhen. 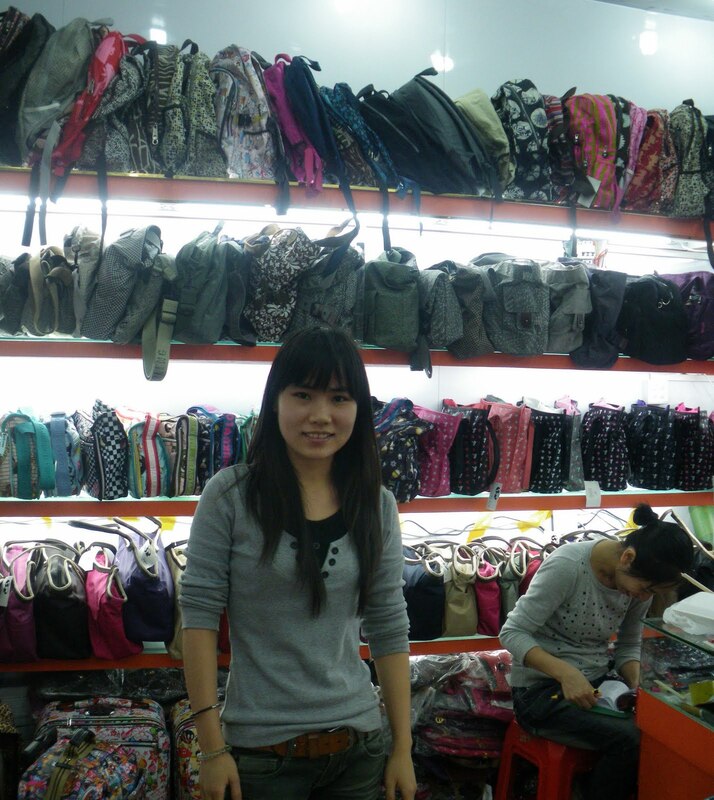 And this is Renee doing some serious shopping at the mall called Commercial City in Shenzhen. 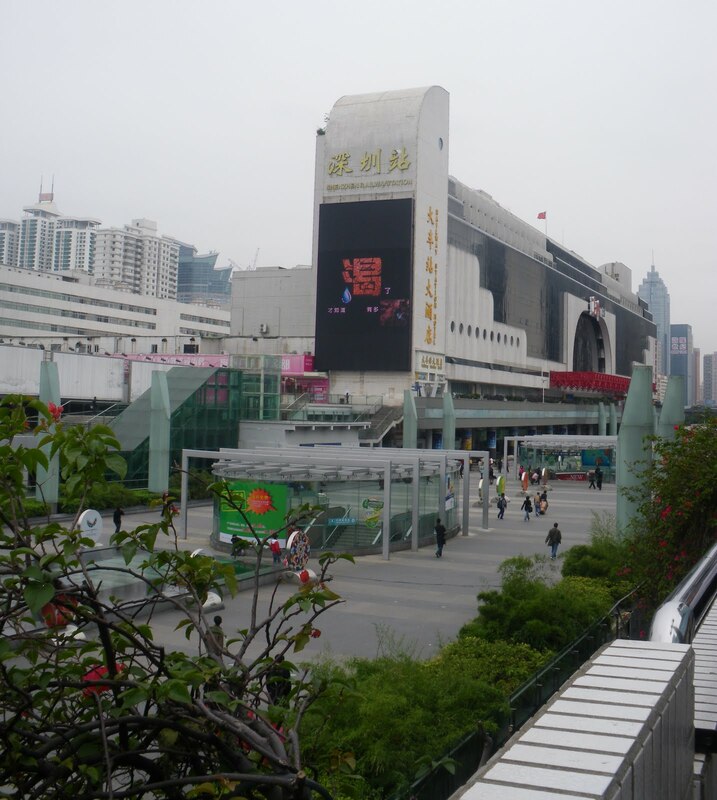 My friends Sarah and Bethany often go to Shenzhen for shopping, but this was my first time across the China border. First we took a taxi to a homewares centre and enjoyed looking at the wide range of products there. 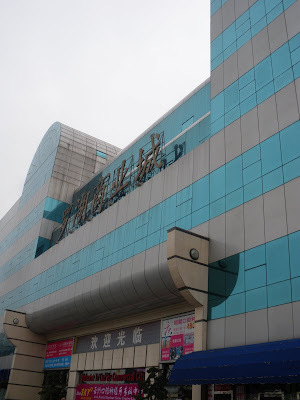 We ate noodles and dumplings at a restaurant for lunch, then walked to a wholesale office supplies/toys mall for some more shopping. I was astounded at the Lego imitations for sale. They look so real! Some of the differences I noticed between Hong Kong and China were the lack of English, crazy drivers, people smoking everywhere (including inside our restaurant), and generally lower standard of cleanliness here. Some of the architecture was different too. Commercial City was our last shopping hurdle to tackle. 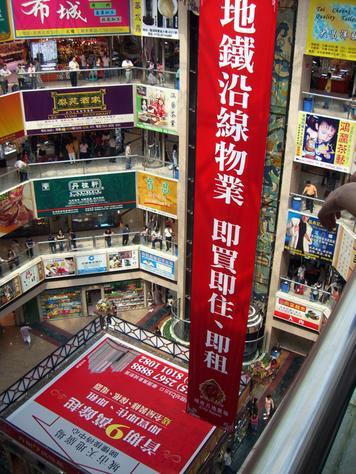 It's five stories tall and is notorious for its bargains. If you like the idea of all the consumer goods you could ever desire in exhaustive and exhausting quantities, then Commercial City's the place for you. I had a vision of myself swinging gracefully around pillars and sliding down escalators...belting out Annie's "I think I'm gonna like it here" at the top of my suddenly harmonious voice...cheerful male shop keepers parading their jewellery, watches, electronic goods, and handbags before me...with a careless flick of my wrist I decline or accept offered selections of footwear, textiles and souvenirs...while petite uniformed Chinese women measure me for clothing alterations, and perform a speedy manicure. In reality, once inside Commercial City's doors you are accosted by numerous sellers in crowded stalls attempting to hawk their cheap plastic goods and Chinese replicas of designer brands, for which you need to haggle mercilessly. It was still fantastic. 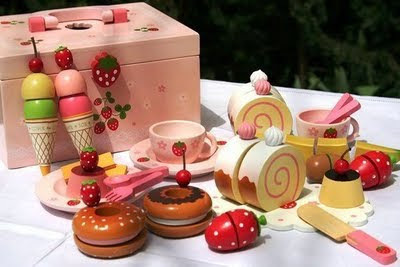 And a gorgeous wooden food set for Tirzah when she is older. Carla, I also bought the backpack you requested from this particular shop, but you'll have to wait until your birthday to find out which one I chose. I didn't even get to look at clothes, so Shenzhen, I'll be back. And next time I'll bring a bigger bag. That food set looks lovely. Tirzah will love playing with it! 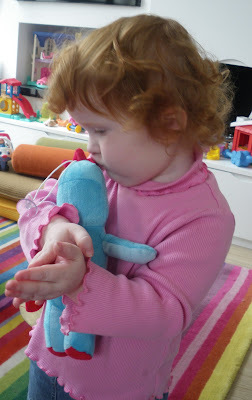 The picture of her with the blue stuffed thingy is so cute. I love the wooden food set for Tirzah - absolutely gorgeous, (reminds me of those wooden products in that great little kids shop in Bowral - First Steps). I'm impressed at what you bought Renee, but I bet you didn't spend the most! That's because you are the best bargain hunter I know! PS, a very goatish looking sheep! Oh, and I have never seen a goose looking so good! Now I'm worried about that poster... how do you know that the Chinese is correct? What a great post. Our family is moving to HK in August from the US. Hubby will travel to Shenzen every week but told me that I will not be able to travel as I will not have the appropriate visa. How can I get up there and shop shop shop????? I liked the lamb, I was also taken with the sea horse...I want to see a tank full of those at Seahorse World in Tasmania if we ever get back there! Craig. To Amy:- It is kind of a pain to get a Visa as an American- we pay the most and we have to wait - but it is possible. 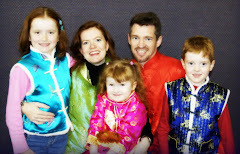 My husband's work pays for the whole family to get a visa- can yours do that for you? Anyway it can be done -you should be able to get one.